Revitalized: Healthcare Providers New Look! 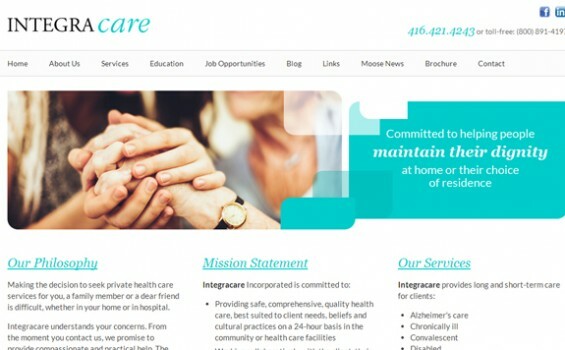 Integracare came to IWD to provide a complete web redesign. Our approach to the site was to put a focus on it’s organization to ensure users are getting all the information they need. A white and aqua colour palette was chosen to evoke feelings of calm in the user, and pictures of people to highlight the human element of the company. A responsive design was created for desktop, tablet, and mobile viewing. IWD will continue to provide Integracare with ongoing web maintenance and support.